"Ooh, look at me, I'm Dave! I'm writing a book! With all my thoughts in it! La la la!" Here I am! I'm Cheryl! And I wrote a book! With all my thoughts in it! And I am happy. That is all. 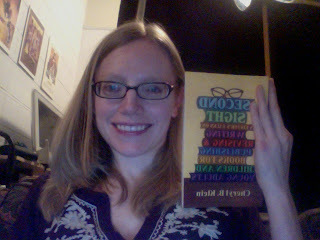 Newer PostHappy (and Scary) Book Day to Me!